Here we describe some of the problems our clients have encountered and how ÁbacoTaxes has helped find a solution. They thought that paying the IBI tax was all they needed to do. When they bought their property no one told them that there was also non-resident income tax to pay. Mr. and Mrs. C. are Swedish non-residents. They bought a house in 2009 and paid their local taxes (IBI). It came as a complete surprise to them when they found out that they also needed to pay non-resident income tax. At first they were worried that this was going to be a huge amount that they hadn’t bargained for. Seeing Ábaco advertised, they called the Swedish Help-line and were reassured when they heard that the tax they owed was not excessive. They made use of the free tax-calculation service and decided in future to use Ábaco to make sure that they were paying what they needed to when it was needed. Find out what you need to pay through joining ÁbacoTaxes Free Pack and letting us calculate your tax for free. With a UK pension it came as something of a surprise that they would need to declare their income in Spain. Mr. and Mrs. B are British and are residents in Spain. They paid their taxes in the UK and were rather surprised when they were told they needed to declare their pensions in Spain too. It was only when the couple attended a seminar given by Ábaco that they found this out and anxiously took the opportunity for a free consultation. After receiving their detailed study they joined Ábaco to avoid any more unpleasant surprises. 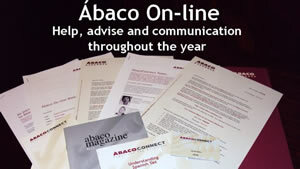 A free consultation is available as part of our ÁbacoTaxes Free Pack. We can complete your tax declaration for you and help you understand what you should be paying and where. They decided to go it alone by declaring their own taxes and completing the paper work themselves in Spanish. It didn’t turn out to be as straight forward as they’d first thought. Mr. and Mrs. W. are British and are non-residents. They have two houses, one in Orihuela Costa (Alicante) and one in Alcalá del Júcar (Albacete). So there were plenty of forms to complete. These did not prove to be easy to follow and they had several queries that they took to the local tax office. The trouble was that there was no one available at the office to speak to them in English and their Spanish wasn’t good enough for them to explain their difficulties. In the end they contacted Ábaco using the Help-line. Eventually they contracted to them as well. They didn’t want to spend all their time filling in forms and wanted to have time to enjoy their house in Spain. You can contact our Help-line at any time and be guaranteed a call back within 24 hours. This is all part of our ÁbacoTaxes Total Service Pack. The fiscal fees were expensive and they didn’t feel they received good value for money. Their representative was not fluent in English and there were some communication difficulties. Mr. and Mrs. V. are Dutch and are non-residents with a house in Rosa (Gerona). Their fiscal representative seemed to be rather expensive for the service they received which was limited to the presentation of their annual tax declaration. They decided to look around and were very impressed when they rang Ábaco and were dealt with by a Dutch-speaking legal executive. The cost of the service was almost half that of their current representative and they decided to let Ábaco help them change firms. We have native language speakers in seven languages. Above all we pride ourselves in providing value for money. Look at the list of services available in our ÁbacoTaxes Total Service Pack and judge for yourself. They never knew when money would be deducted from their bank account. This meant that on occasions there weren’t sufficient funds and the invoice was sent back unpaid. Mr. and Mrs. O. are British and non-resident in Spain. They have a house in Gran Alacant. They were finding it increasingly difficult to keep track of when fees and charges were likely to be billed from their bank account. This sometimes resulted in bills being returned unpaid. This took them a while to remedy each time it happened. At last, they contacted Ábaco who also informed them that they had outstanding IBI tax payments. Something that their previous fiscal rep should have dealt with for them. On hearing that Ábaco sent out automatic electronic notification of when their bills were due, they decided to change their representative. Join our ÁbacoTaxes Total Service Pack and you will receive reminders before every payment is due. When finding a tax representative it hadn’t occurred to them that he would need to know something about tax affairs in their native country as well as in Spain. Mr. and Mrs. H are British. They are currently Spanish residents living in a house in Ciudad Quesada. They had become increasingly disappointed with their fiscal representative. He was difficult to contact by phone and only wanted to discuss issues through appointments that he charged for. They were also sceptical of his knowledge of the British tax system. He seemed to find it hard to navigate the different documents they sent him and he didn’t seem able to explain what they were paying or why. Following a presentation by Ábaco at an association meeting, an appointment was made with one of their British tax advisers who has 25 years experience of both tax systems. She was able to alert them to errors in the way their tax was being presented. Mr. and Mrs. H were upset that in spite of their best efforts their tax hadn’t been paid correctly and decided to contract to Ábaco. Not only did they now understand their tax situation more clearly but they knew that they had access to the Ábaco Help-line at any time they might need it. Our ÁbacoTaxes Total Service Pack includes access to the Ábaco Help-line and the expertise of tax advisers who know the Spanish and British tax systems inside out. Their current fiscal representative was good but too expensive. They were worried about making the decision to change. Mr. and Mrs. Cliff are British residents living in Rojales (Alicante) Like many people, they have found it more difficult to make ends meet during the past few years. One way in which they wanted to reduce their outgoings was by changing their fiscal representative. Although quite happy with their present tax adviser, he was expensive in comparison to Ábaco and they had heard good reports about this firm. They were also aware that Ábaco could give them the advice and assistance they were wanting in inheritance and making a Spanish will. Ábaco were able to offer them help with changing their fiscal representation and made sure all their documentation was safely exchanged. They arranged a free inheritance tax calculation for them and provided advice on how their Spanish wills might be worded to their inheritors’ advantage. Mr. and Mrs Cliff decided not only to contract to ÁbacoTaxes but also to take advantage of the 25% discount they were offering on making a Spanish Will. Contract with Ábaco and we will help you change your fiscal representative. We provide many more services in addition to ÁbacoTaxes Total Service Pack and will be happy to assist you with any inheritance queries you might have. A ‘bargain’ property bought in 2008 turned out to be not quite as much of a bargain when the purchasers received a Transfer Tax demand of 4,500€ in 2010. Mr. and Mrs. I. are Swedish non-residents who own a property in Spain. They bought the property at Pedro del Pinatar (Murcia) in 2008 and considered that they had a bargain. In 2010 they received a letter from the Spanish Tax Authority informing them that they had included a value in their Deed that was well below the real value of the property and that they hadn’t in fact paid enough transfer tax. They had an additional 4,500€ to pay. When Mr. and Mrs. I approached their tax representative, she told them that there was nothing they could do about it and must pay the demand. Mr. and Mrs. I had heard about others in a similar situation through reading a newspaper article written by Ábaco. They contacted the Help-line and explained their situation to the Swedish adviser. She told them that there was still time for them to appeal against the decision and pointed out that Ábaco would be happy to do that on their behalf. The couple decided to try the appeal process and contracted to Ábaco. The appeal was successful and Mr. And Mrs I saved their 4,500€. Ábaco don’t just deal with income tax. We are experts in all aspects of taxation and we have successfully challenged many demands for additional transfer tax. They bought their house in 2008 but had not been told about the taxes they should pay. At the beginning of 2010 they received a tax demand that they didn’t understand and they chose to ignore it. They nearly lost their house. Mr. and Mrs. S are British non-residents and own a holiday home in Marbella.They bought the property in 2008 but weren’t aware that they needed to pay annual tax. Towards the end of 2009 they received notification of the outstanding tax debt but did not know enough Spanish to work out what it said. They chose to ignore it. At the beginning of 2010 they received another letter and this time became worried. They posted some questions on a few internet forums and were told to seek advice. They contacted Ábaco who delivered the unpleasant news that the second letter was informing them that their names had been published on the Official State Bulletin. This meant that according to the tax authority they had been informed of the debt and if the matter wasn’t settled immediately then the house would be embargoed and sold at public auction. Mr. and Mrs. S. were shocked and immediately contracted to Ábaco who chased up the debt for them and arranged payment. The S’s kept their house. It can be easy for non-residents to miss essential information. By joining the ÁbacoTaxes Total Service Pack you can rest assured that your tax affairs are taken care of. Our on-line service enables you to track and monitor your tax payments wherever you live.